Last weekend we processed one of our lambs for meat. This unique opportunity gave me with a first hand experience in processing an animal from start to finish. I have butchered many larger animals in the past as well as various small game birds, fowl, and chickens, but this felt like the most the most intense and personal experience I have yet to have with animal husbandry. With taking the life of an animal, I feel it is most important to utilize as much of the animal as possible. In consuming its flesh and utilizing the hides and bones, I feel we honor the animal and keep its spirit with us. I feel good knowing that I provided animals with a home, quality food, and love. In return they provide our family with nourishment. It is the circle of life. When it comes to lamb, most rejoice the soft, tender loins, but it is the organ meats that I have been so excited about. As you may have heard me say before, organ meats are loaded with nutrition and have always played an important role amongst traditional cultures and hunter-gatherer lifestyles. Liver contains essential vitamins like A, D, E, K, and B12, as well as trace minerals. Dr. Chris Kesser has some additional info on the benefits of liver HERE. I know liver is not the most appealing animal food, but its nutritional benefits make it worth a weekly or even monthly snack/meal. If pate seems a bit out of reach, simply have your butcher grind it up and add it to your next batch of meatballs or meatloaf. I find the taste of lamb liver to be a bit more mild then beef or chicken liver so I did not soak it in milk, but the option is always there. If you want to soak the liver, which seems to improve the overall taste, I suggest slicing the livers then soaking in milk for 1-2 hours. Drain off the milk, rinse, then pat dry with a paper towel. Next, heat a large skillet with lard. Cut the liver into ½ inch chunks then cook with the onions and garlic while stirring occasionally. After about 3-4 minutes remove the liver, add the red wine, and let it reduce and naturally thicken. I try not to cook the liver all the way through, rather let it cook to about medium-rare. Remove from the heat, stir in the rosemary, salt, and pepper. Let cool for 10 minutes. Transfer the liver over to a food processor and process with the lemon juice, butter and cream. Let it blend until thick, but smooth consistency is formed. Scoop the pate into parchment or plastic wrap lined mold or small Pyrex container. Place in the fridge for several hours to set. Enjoy with crackers, sliced cucumbers, or by the spoonful! 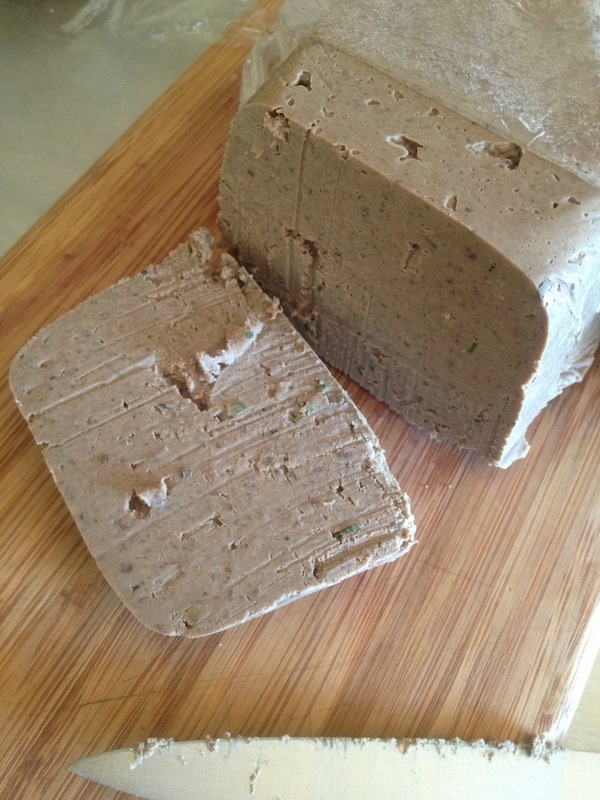 *This recipe for Pate Spice comes from Charcuterie by Michael Ruhlman and Brian Polcyn. This simple spice mixture adds a delicious flavor to any liver dish. Double or triple the recipe and store in an airtight container.